Fed Poly Nekede 2018/2019 HND Admission Screening Result Released!!! 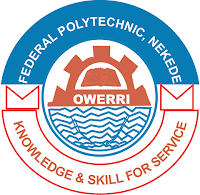 The management of the Federal Polytechnic Nekede have released her 2018/2019 Higher National Diploma (HND) Admission screening result for the 2018/2019 academic session. Candidates who participated in the school 2018/2019 admission screening can now check their screening result and know their chances of been considered for admission into the school. 3. Finally, click on ‘Submit’ button to access your result Online. Immediately you check your result, proceed to check your admission status detail online. This entry was posted in Admissions, Campus Gist, Post UTME Updates and tagged Fed Poly Nekede, Federal Polytechnic Nekede on August 8, 2018 by Mina. Fed Poly Nekede 2018/2019 Post UTME Screening Result, Released!!! This is to inform the general public and all Admission aspirants of the Federal Polytechnic Nekede who participated in the school’s just concluded Post UTME Screening text that the school management have released her 2018/2019 Admission screening result for the 2018/2019 admission exercise. Supply your confirmation order Number. Click on “Check Result” Button to access your result details online. N. B : At the time of writing this article, Nekede Poly Post UTME Screening Result is yet to be released. This entry was posted in Admissions, Post UTME Updates and tagged Fed Poly Nekede, Federal Polytechnic Nekede on August 8, 2018 by Mina. This is to inform all the candidates of the that the management has announced the the Cut Off mark which is 140, the Screening hods between July 30th and August 15th, for the 2018/2019 Academic Session. Check the details underneath. The Screening exercise will take place at the University Auditorium, Main Campus Rumuolumeni Port Harcourt, at 8 A.M Prompt. The management also stated that those candidates who took part in the Joint Admissions And Matriculation Board (JAMB) examinations, and who equally chose the Institution as their first or second choice should take note of the following. This entry was posted in Post UTME Updates and tagged IAUE, IGNATUS AJURU UNIVERSITY OF EDUCATION on July 8, 2018 by Mina. This is to inform all the candidates that applied for the Delta Polytechnic (OGWASHI-UKU) National Diploma (ND) & Higher National Diploma (HND) Part-Time and Weekend Programs, that the management has announced the admissions for qualified candidates into various programmes, for the 2018/2019 academic ession. This entry was posted in Post UTME Updates and tagged DELTA STATE POLYTECHNIC, DELTAPOLY on July 8, 2018 by Mina. JAMB Extends 2018 Registration Date!! Read Details!! This is to inform the general public and all 2018 JAMB Candidates who have not yet Registered for the 2018 Joint Admission And Matriculation Board (JAMB) UTME Exam that the management of the board have extended the date for her 2018 UTME Registration. According to the information reaching us, the JAMB Information minister Dr Febian have announced that the management of the joint admission and matriculation board, (JAMB) Have extended her 2018 UTME Registration date to 11th of February 2018. He therefore advised candidates who are yet to register to do so before the closing date or better still, forfeit this year’s JAMB Exam. See: Fed Poly Nekede ND Admission List. For More Educational Updates, Like, Share And Subscribe To Fed Poly Nek Blog. This entry was posted in Post UTME Updates, Scholarships and tagged JAMB, JAMB 2018 Registration, Joint Admission And Matriculation Board on February 15, 2018 by Mina. JAMB UPDATE: JAMB Gives Candidates Pins After 24Hrs To Complete Registration!! 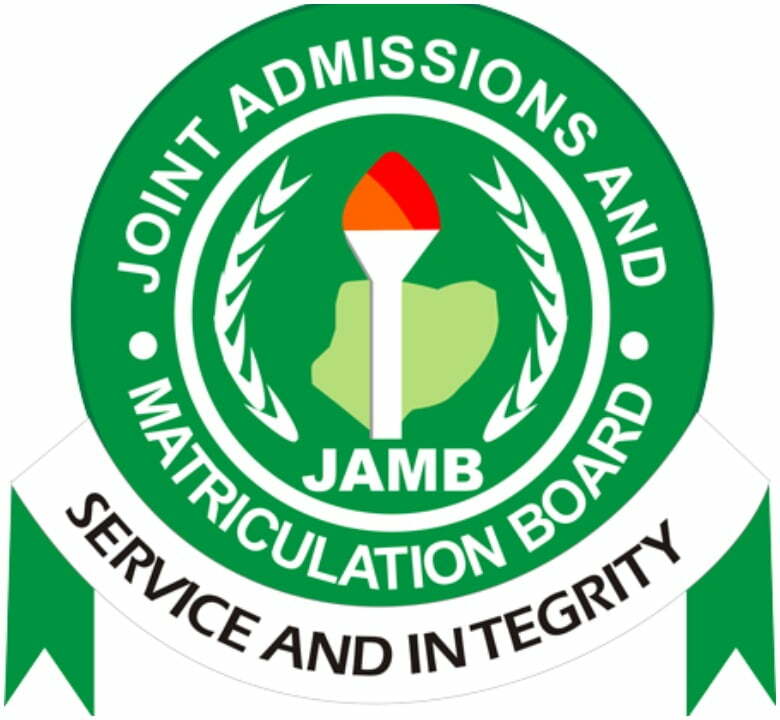 This to inform the general public and all 2018 Joint Admission And Matriculation Board (JAMB) Candidates that the management of the organization have put in place a new system for candidates to complete their JAMB Registration for 2018/2019 academic session. According to The JAMB Information Minister Mr Febian who disclosed while addressing newsmen in Abuja, the essence of this new method is to avoid any form of complain from candidates on registration. He also stated that, most candidates who had initiated registration processes and had paid and procured the registration e-pins but could not register at the closed of sales. He therefore urged candidates who have gotten their own E-Pin should make sure they complete their registration. This entry was posted in Post UTME Updates and tagged JAMB, JAMB 2018 Registration, Joint Admission And Matriculation Board on February 15, 2018 by Mina. FUTA Extends 2017/2018 Direct Entry Registration Closing Date!! This is to bring to the notice of the general public and all Direct Entry admission aspirants of the Federal University of Technology Akure (FUTA) That the management of the institution have extended the registration deadline for all her Direct Entry admission aspirants for 2017/2018 academic session. The previous date was on the 5th of February but the current date for the closing of the Federal University Of Technology Akure (FUTA) Direct entry registration as announced by the school management is on the 16TH Of February 2018. Interested candidates are to make sure that every payment are made before the closing date and also, candidates are to make sure they collect all necessary materials including their payment slip before the portal is been shot down. For More Educational Updates, ,Like, Share And Subscribe To Fed Poly Nek Blog. This entry was posted in Examinations, Post UTME Updates and tagged Federal University Of Technology Akure, FUTA Direct Entry Registration on February 15, 2018 by Mina. Federal Poly Nekede 2018 Matriculation Date Announced!! This is to inform the general public and all newly admitted students of the federal Polytechnic Nekede Owerri both ND And HND That the management of the institution have officially announced the date for her 2018 matriculation for 2017/2018 academic session. All matriculating students are to go to their departmental H.O.D’S office for collection of matriculation gown which will cost minimum of 1,00. This entry was posted in Campus Gist, Post UTME Updates and tagged Fed Poly Nekede 2017 Admissions, Fed Poly Nekede matric, Federal Polytecyhnic Nekede 2018 Matriculation on February 15, 2018 by Mina. Federal Polytechnic Nekede 2017/2018 ND Morning Program 1st Batch Admission List Released!! This is to inform the general public and all 2017/2018 National Diploma (ND) Admission Aspirants of the Federal Polytechnic Nekede that the management of the Polytechnic have finally released the official First Batch Admission List Of her long awaited National Diploma (ND) Morning (Full-Time) Program admission list for 2017/2018 academic session. This entry was posted in Campus Gist, Post UTME Updates and tagged Fed Poly Nekede, Federal Polytechnic Nekede, Federal Polytechnic Nekede 2017/2018 ND Morning Admission List on December 20, 2017 by Mina. This is to inform the general public and all 2017/2018 National Diploma (ND) Admission Aspirants Of The Federal Polytechnic Nekede that the management of the Polytechnic of recent have made an important announcement to all her ND Full Time Admission Aspirants on the condition for admission into the school National Diploma (ND) Morning Program for 2017/2018 academic session. All aspirants are given the space of two (2) Weeks to make this change.. This entry was posted in Campus Gist, Post UTME Updates and tagged Fed Poly Nekede, Fed Poly Nekede 2017 Admissions, Federal Polytechnic Nekede on December 20, 2017 by Mina.